It’s really gratifying to announce Magic Jigsaw Puzzles has partnered with the National Breast Cancer Foundation in an effort to not only raise money for the cause but to share the stories of the breast cancer survivors! During the whole month of October, photos, curated by five breast cancer survivors will be featured in the game as a free puzzle pack “Inspire”. Additionally, there will be the option to purchase marked with a pink ribbon puzzle packs to donate funds directly to the National Breast Cancer Foundation. We’d like to share with you their stories and images that inspired our team to create a special puzzle pack to feature their remarkable victories over breast cancer. The curated images include specific locations where these five brave women spent time during their past and present battles with the disease as well as places they feel inspired by in their everyday lives. 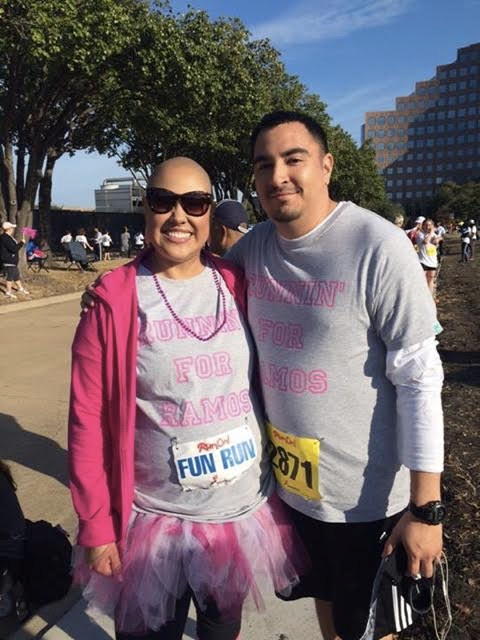 Genny was diagnosed with triple-negative breast cancer in July of 2014 while pregnant with her eighth child. The baby was induced in August at 38 weeks and spent two weeks in the NICU so Genny could begin chemotherapy. In December of that same year, she had a double mastectomy, but the expanders that were inserted during the surgery became infected. It took seven surgeries and six months of antibiotics to clear up the infection. In 2016, after being flat-chested for more than a year, she underwent DIEP reconstruction and is now doing well. Genny created her own nonprofit while struggling with her recovery called Overcomers: Daughters of the King of Kings which holds workshops to help women and their families cope with the various after effects of breast cancer. She encourages her participants to remember that we only have today and today might be the day you brighten another’s. Genny’s image is of a creek that runs through Castroville City Park, a place of beauty that inspired her during her cancer fight. The creek is tucked about fifteen miles from the hustle-bustle of San Antonio and she loves that bald Cyprus trees flourish there. These trees push through the hard soil during droughts to find nutrients, which inspired Genny to stay strong through her battle with breast cancer. Khim was diagnosed with breast cancer at 35 after discovering a small lump in her armpit. She didn’t think much of the lump initially because she was active, healthy and had no family history of breast cancer. The cancer was supposed to be removed with a lumpectomy and hormone medication, but after surgery she was informed that the behavior of her cancer had changed. The discovery of being pregnant explained the reasoning behind the drastic change in the cancer. After discovering she was pregnant with her third child, Khim knew she was now fighting the disease for two. She began receiving chemotherapy and then delivered a healthy baby girl before continuing even more chemo and beginning radiation. Today, she is officially cancer free! 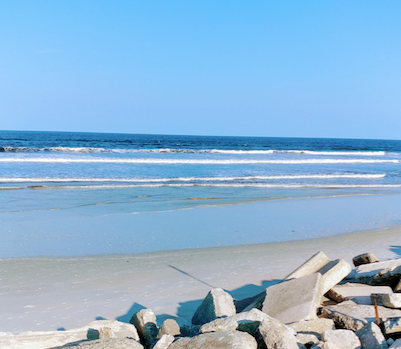 Khim’s image is the beach where she would come in the mornings to clear her head by listening to the waves during the time while receiving treatment. She also likes to spend summer days at this beach with her family. Elayne lost her sister to Triple Negative Breast Cancer on Oct. 19, 2016. Eight days later, she was diagnosed with stage II Invasive Ductal Carcinoma, Triple Negative Breast Cancer. When diagnosed, she was not only grieving the loss of her sister, who was only 41, but was also 15 weeks pregnant. She had completed three rounds of chemo when an ultrasound found that her mass had doubled in size and would require a radical mastectomy. The surgery was intense as she was 29.5 months pregnant. 3 of the 10 lymph nodes removed tested positive for cancer and it was discovered that the mass was connected to Elayne’s pectoral muscle. She was induced 5.5 weeks early and gave birth to a healthy baby girl so she could go ahead and receive additional chemotherapy. She went on to receive 12 more rounds of chemo and 28 rounds of radiation and her next step in the process is to receive a full hysterectomy. 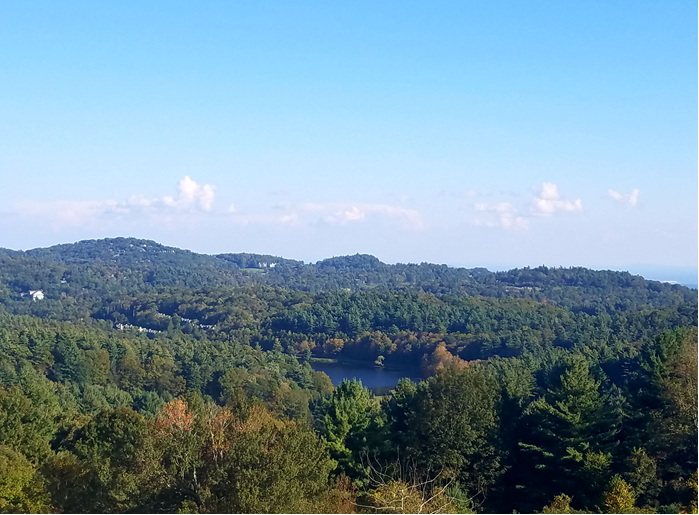 Her image is of the mountains of western North Carolina, which have provided her both mental and physical support. 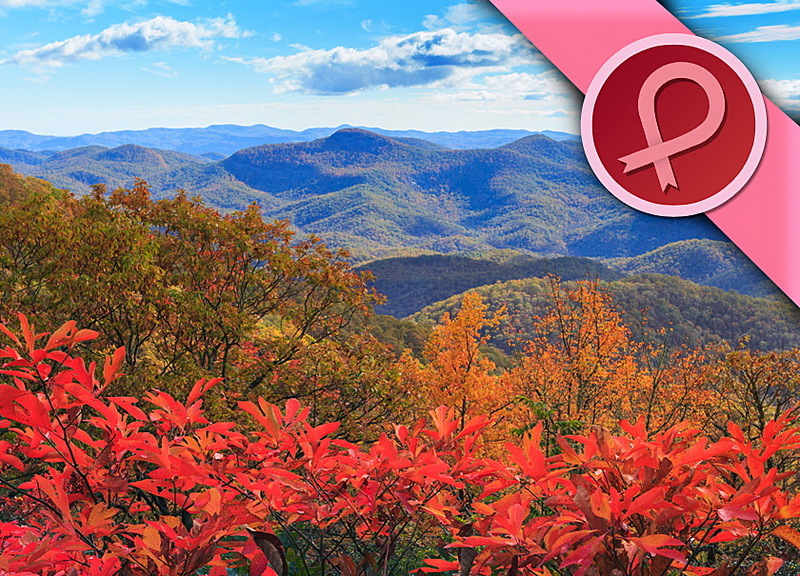 She has a strong love for the mountains and has lived in North Carolina for 36 years. At the age of 28 Chantelle found a lump on her breast shortly after her son’s first birthday. After a biopsy revealed it was breast cancer, she immediately had the lump removed and had her eggs frozen as chemotherapy can cause infertility. She then began chemotherapy and after a bad reaction to her first session, ended up in the hospital for ten days. After her second session just before Christmas, she lost all of the hair on her body. Adding to hard times, her father passed away two days after the New Year. The day after his funeral, she continued her chemotherapy and has now been finished for four months. She has now also had a double mastectomy and reconstruction and is continuing further treatment. Her image is of her family’s vacation home where she is able to have peaceful moments away from city life amongst the beautiful scenery and sounds of nature. She promised herself that she would never stop fighting and through whatever happened, she’d always have this special place to go and find herself. In June of 2015 at 14 weeks pregnant Jessica had a tingling sensation and found a lump on her breast while watching TV one evening. Days later, an ultrasound and biopsy confirmed she had stage II breast cancer. The following week, she underwent a minor surgery to have a port inserted so she could immediately begin four months of chemotherapy. Later that year, Jessica was induced four weeks early and delivered a healthy baby boy named Blake. Two days after his birth, she had a lumpectomy and 24 lymph nodes removed. In total, she completed 18 rounds of chemo and 36 daily radiation sessions. Today, Blake is almost two years old and Jessica is in remission. During her treatment, Jessica enjoyed spending time with friends and family and simply living her life, which is shown in her image. Enjoy the stories and don’t forget to participate in Breast Cancer Awareness Month by purchasing specially marked puzzle packs. Let’s solve puzzles to fight breast cancer!